On May 24 and 25, the 6th edition of the International ML School, created by Lallemand Oenology, was held in Toulouse, France. The master classes brought together 68 researchers, technicians, oenologists, winemakers, and representatives from 18 different countries (United States, Japan, India, South Africa, Autralia, Italy, Spain, Portugal, Israel, Germany, Austria, Russia, Croatia, Ukraine, Bulgaria, Macedonia, Denmark, and United Kingdom). 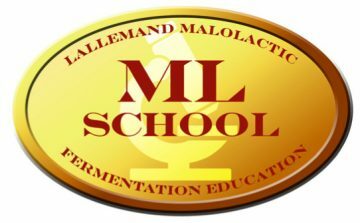 This initiative supporting advancement in malolactic fermentation (MLF) management and the interest of use selected wine bacteria is part of the Lallemand Malolactic Fermentation Education training program. Through seminars, workshops and tastings, the ML School program focused on showing that MLF is a crucial stage in winemaking and much more than just a simple step that reduces acidity and stabilizes wine. It was also demonstrated that our selected lactic acid bacteria must be considered genuine winemaking agents that have a significant impact on wine quality. Tasting workshops showed the importance of controlling MLF in order to limit contaminant development, as well as the positive impact of different Lallemand wine bacteria on the sensory profiles of red and white wines from six countries (Australia, United States, France, Portugal, Germany, Italy). The ML School had the privilege of having as experts on MLF such as professors Maret du Toit (Institute for Wine Biotechnology, Stellenbosch University), James Osborne (Wine research institute – Oregon State University) and Dr Raffaele Guzzon (Fundazione Edmund Mach – Instituto Agrario di San Michele All’Adige in Italy) , as well as Dr. Sibylle Krieger, Magali Déléris-Bou, José Maria Heras, and Anthony Silvano from the Lallemand research team. Patrice Laforce presented on the organization’s expertise in producing wine lactic acid bacteria. The seminars were followed by a tour of Lallemand’s Blagnac laboratories.